Usually, when there's a geek event in Japan, cosplayers show up in droves. Somewhere between the folks in skimpy outfits, there are always cosplayers carrying enormous swords and guns. 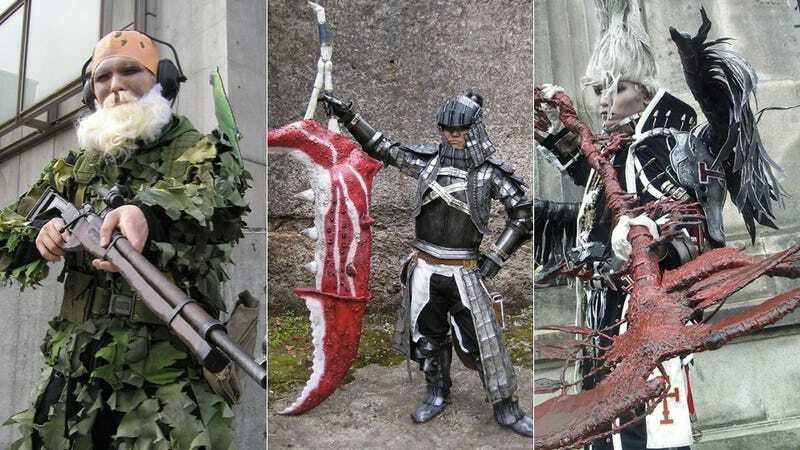 They're not real weapons, of course, but they can really help complete the cosplay. Want to learn how to make those awesome custom weapons? Like, yourself? No worries, Ryo is here to help. Ryo is a Japanese cosplayer, who's been living the life since 2003. At that time, Ryo had no clue how to make his own costumes and weapons. Now he's quit his job as a systems engineer and makes costumes for a living. And his wonderful website has walkthroughs for all sorts of awesome cosplay props. Best of all, Ryo also wrote his how-tos in English. There are even walkthroughs for armor, like this Monster Hunter outfit. Monster Hunter and Final Fantasy might not be your thing, but you can use these walkthroughs to inspire your own creations. Ryo's site is a very generous and helpful resource. There's much more in the link below. Have a look.